If all we do is hear God's Word, we become deceived (James 1:22). We need to look at it intently, study it, and live it (James 1:25). We recognize error only when we have a mature and growing knowledge of God. How many students have been persuaded by a teacher to give up their "unscientific" creation beliefs (2 Peter 3:3-5)? How many Christians have been convinced by our immoral culture that homosexuality is right even though God calls it wrong (Romans 1:26-27)? How many Christians have accepted the popular secular teaching about esteeming self instead of the Biblical teaching about denying self (Matthew 16:24; 2 Timothy 3:1-5)? 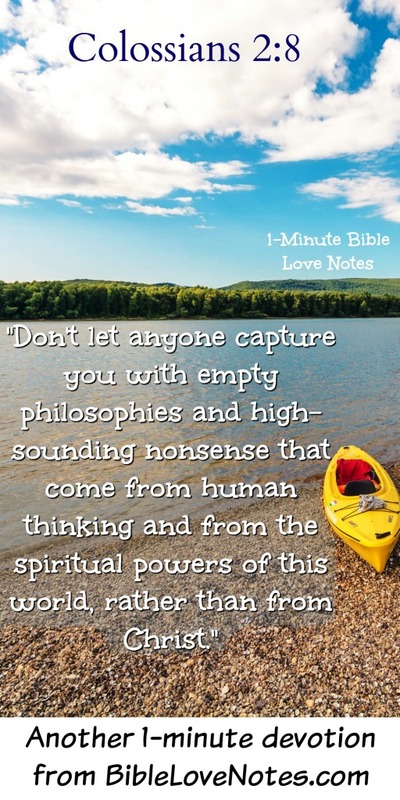 Dear, Christians, there are thousands of false philosophies in our world. 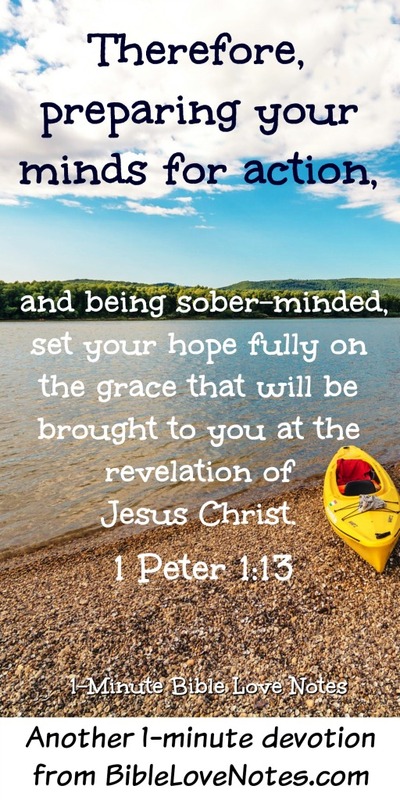 Let's prepare our minds for action (1 Peter 1:13). 2 Timothy 2:15: Do your best to present yourself to God as one approved, a worker who does not need to be ashamed and who correctly handles the word of truth. James 1:25: But whoever looks intently into the perfect law that gives freedom, and continues in it--not forgetting what they have heard, but doing it--they will be blessed in what they do. 2. Read all passages linked to the devotion and ask God to show you any areas where you are listening to false philosophies.